British Countryside inspired by the quintessential Great British country landscape with its rolling hills, patch work fields and some of the most beautiful British flowers, grasses and blossom. We’ll even go round the corner for you. What would you like? 2 packets of cheesy quavers? 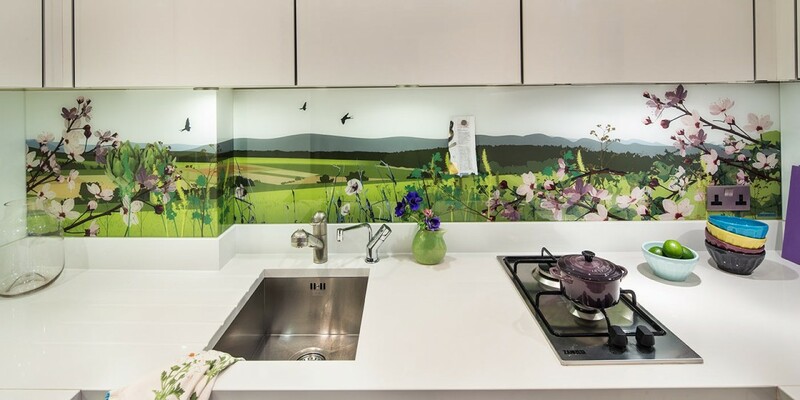 Countryside Kitchen Splashback around a corner seamlessly.